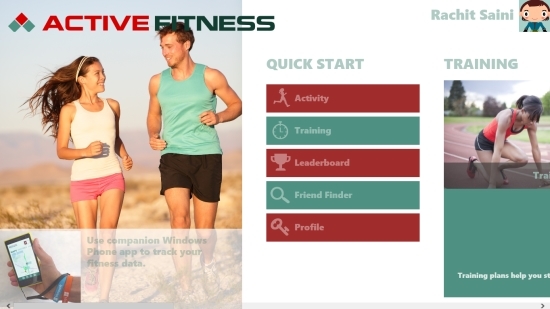 Active Fitness is a Windows 8 Fitness App. You can use it to keep track of your Fitness, and the progress you have made if you follow a certain fitness activity. You can add any number of activities here, and compete with others. 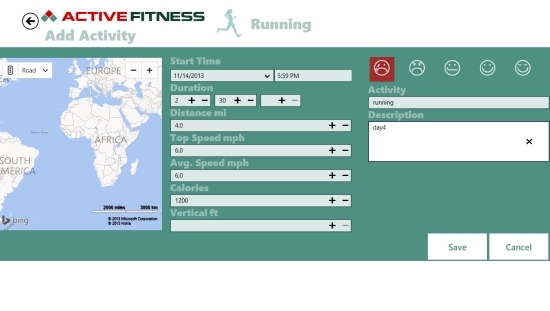 Also, this free fitness app also gives you with the ability to integrate it with any tracking device, which will track your distance covered, and the route you have followed. You can provide the details for any particular activity like calories, distance you covered, or the time you spent, and more. You can provide this information yourself, or the app will update those values itself, if you are using a tracking device. 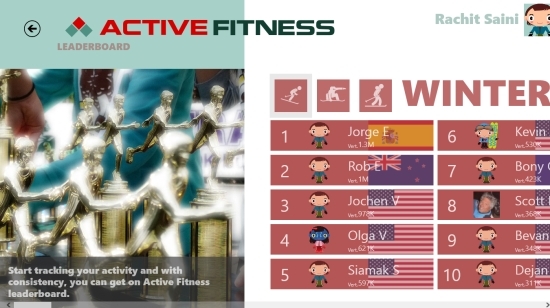 Active Fitness is freely available in the Health & Fitness category of the Windows Store. As you land into Active Fitness, the main options that are available to you, will appear. 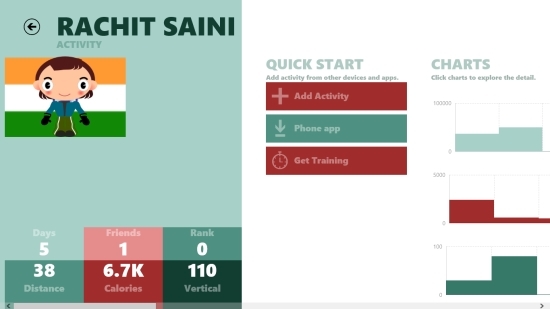 Options like Activities, Training, Leaderboard, etc are available here. Let me get you better idea of how these options are useful to you. In this option, you can add new activities to your profile, and can add info about them. If you use a tracking device, then you can use the GPX file for it from your system, and the app will sync it with the stats of the activity you are doing. From the Activity option, you can use the Add Activity option to add any activity. In this option as you select the activity, you would be given the option to add the details. As you supply the details and click to save it, your stats will be updated on your profile. From the stats page, you will be able to see graphs of various traits. 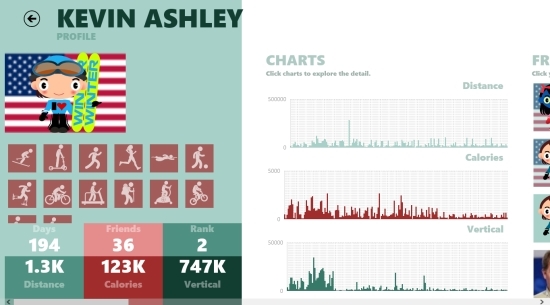 You can use these graphs to better track your progress. Get to the training option, you would be able to get to subscribe to the training plans. But that is a paid option. As you get to this option, you can see the users who are using the app and where they stand on global level. In addition to that, you can invite others, and if your invitation is approved, then you would be able to see their progress. Compete with other users in respect of improvements. Sync with your tracking device easily. 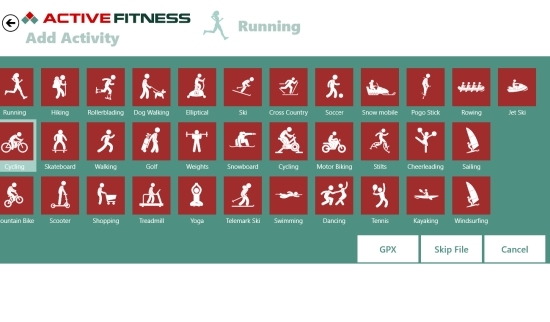 According to me, Active Fitness is quite a nice Windows 8 Fitness app, and deserves a try for sure.